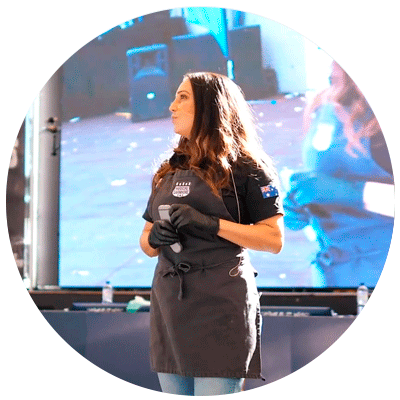 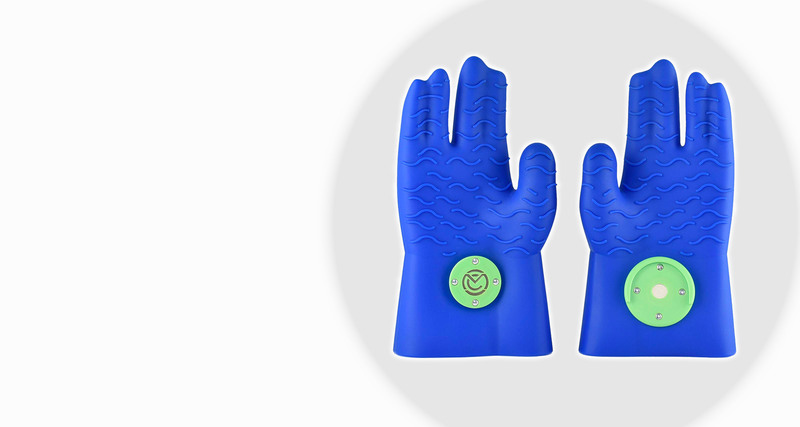 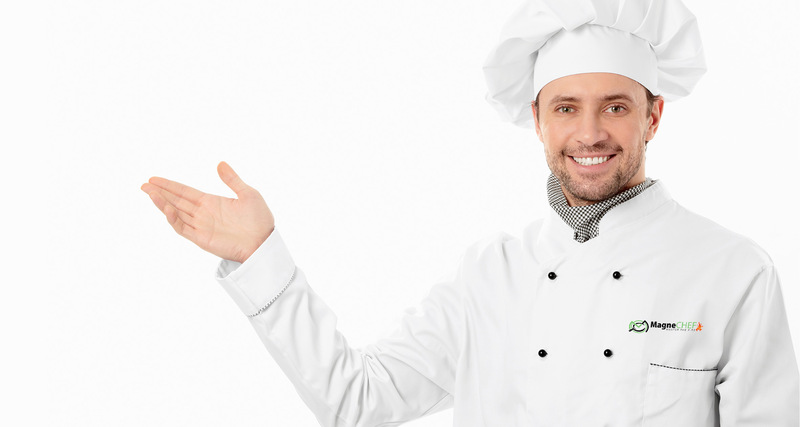 MagneChef.com – The best cooking gloves! 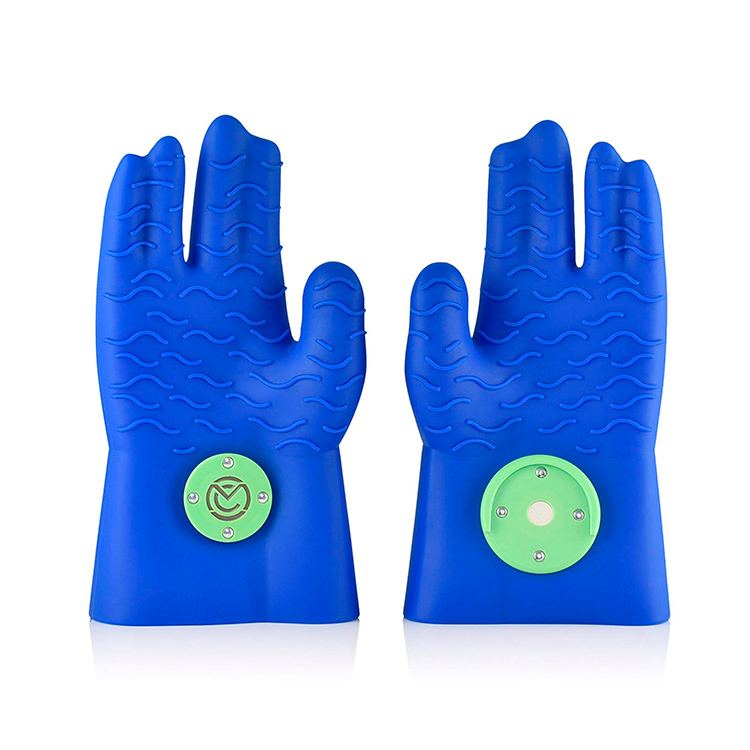 with extended cuffs to protect lower forearms. 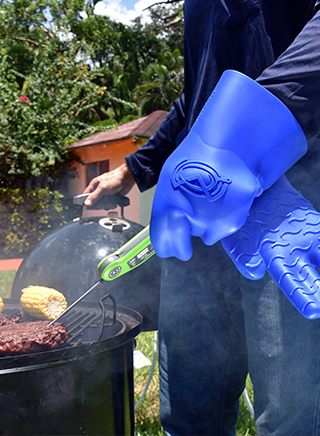 These gloves were designed by a firefighter. 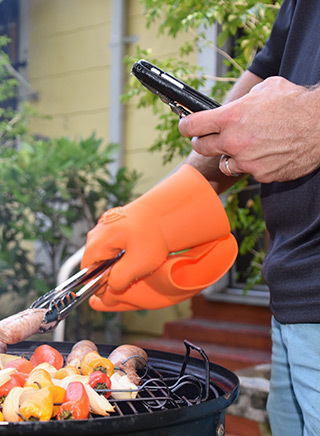 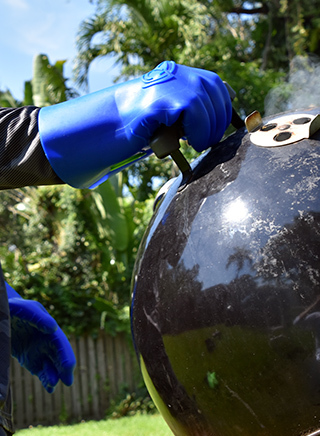 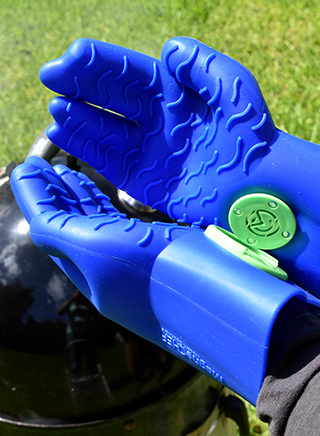 Heat Resistant Silicone BBQ Gloves Ergonomic web fit allows for firm grip, Patented magnet safety clip allows for rapid release of one or both hands, Grip waves for pulling pork, No more need for claws. 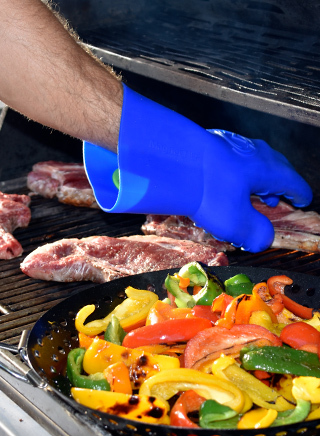 Best all purpose cooking gloves out there! 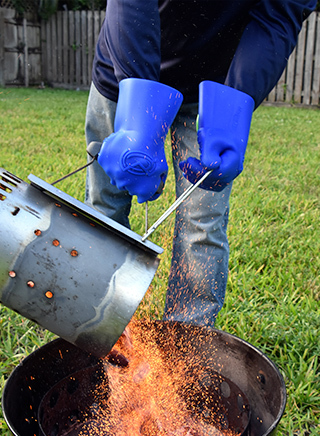 I used them for grilling and as oven mittens. 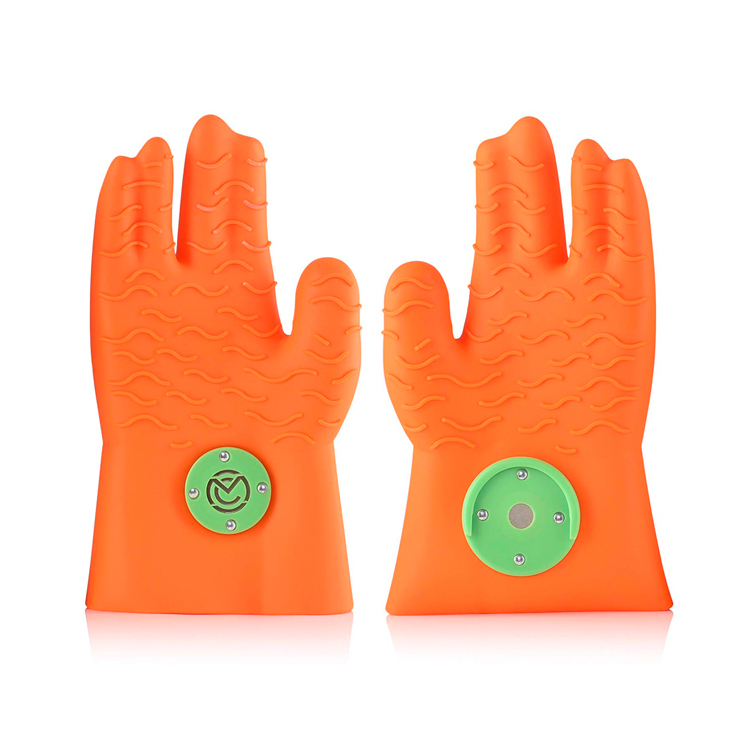 Easy and convenient and they my favorite part is that they clean easily. 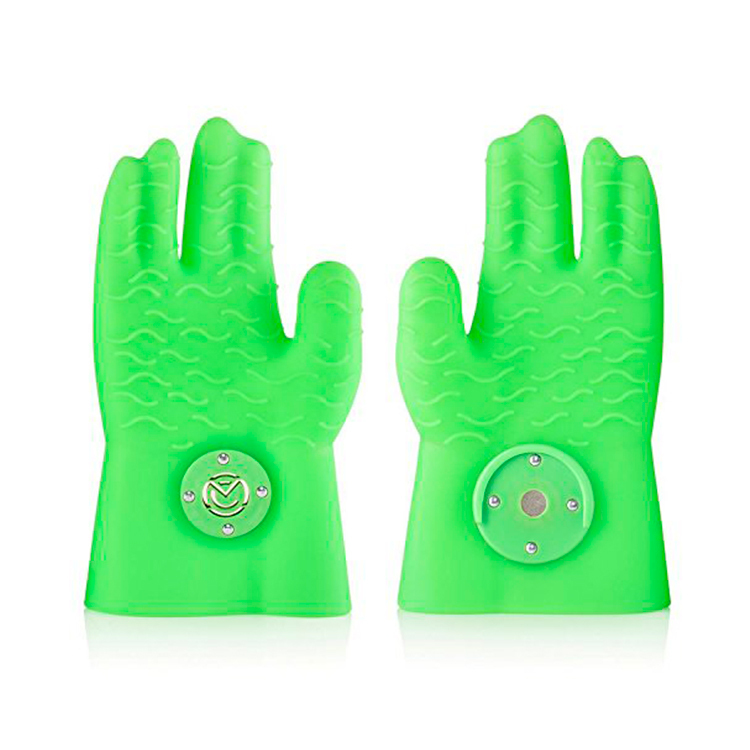 I purchased the MagneChef gloves directly from their site. 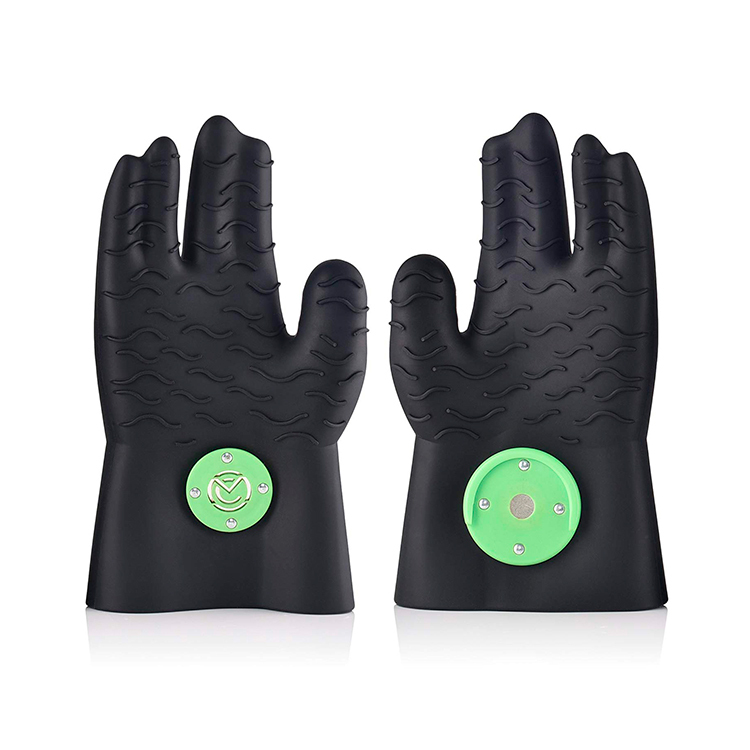 They are probably the best gloves I have ever purchased. 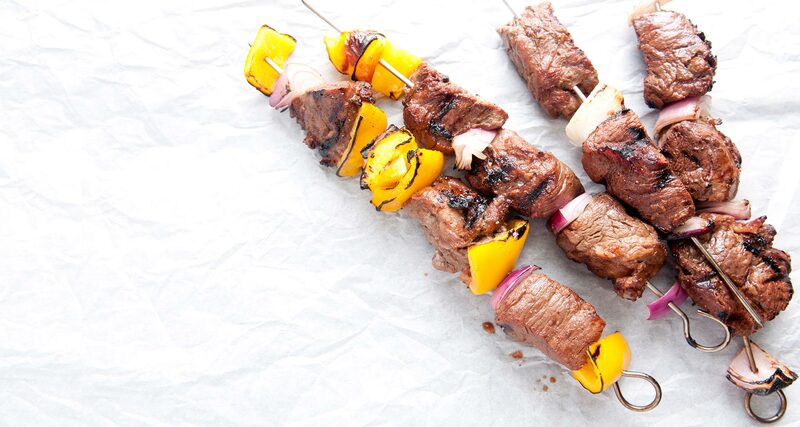 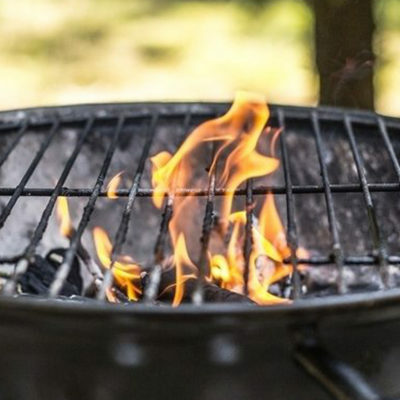 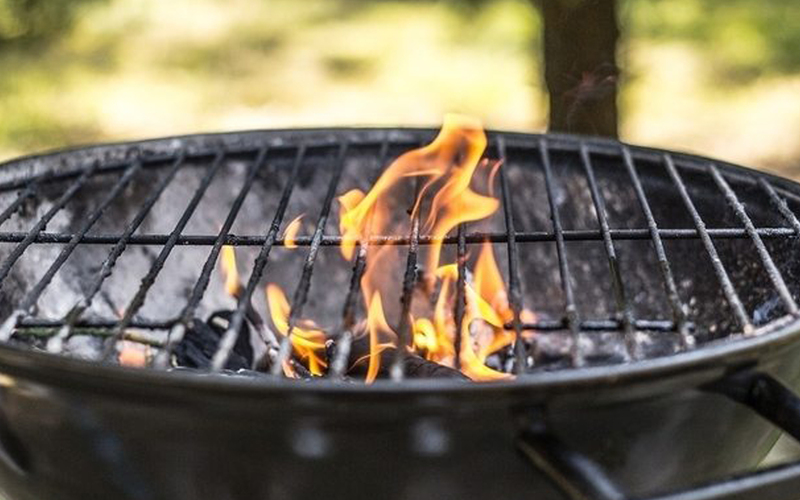 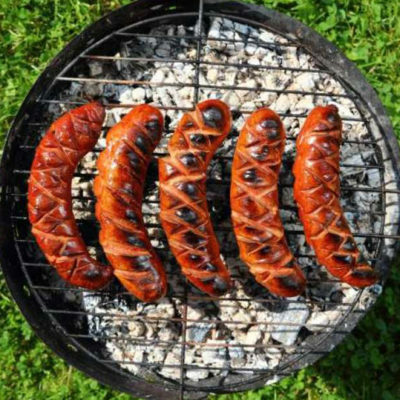 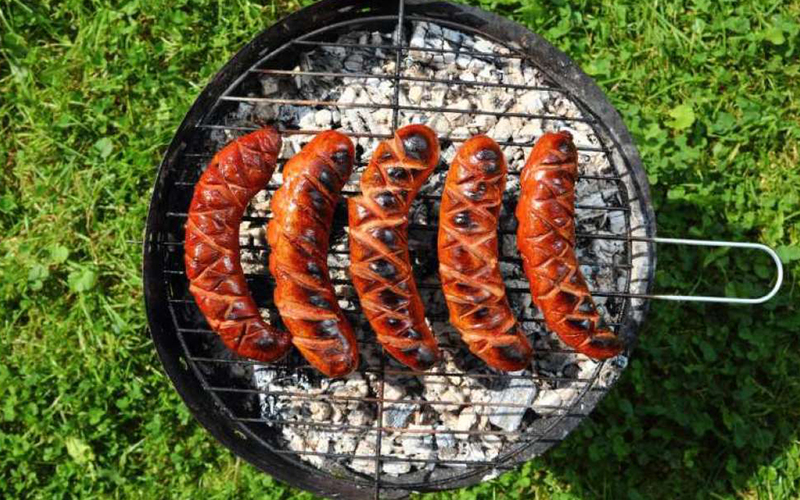 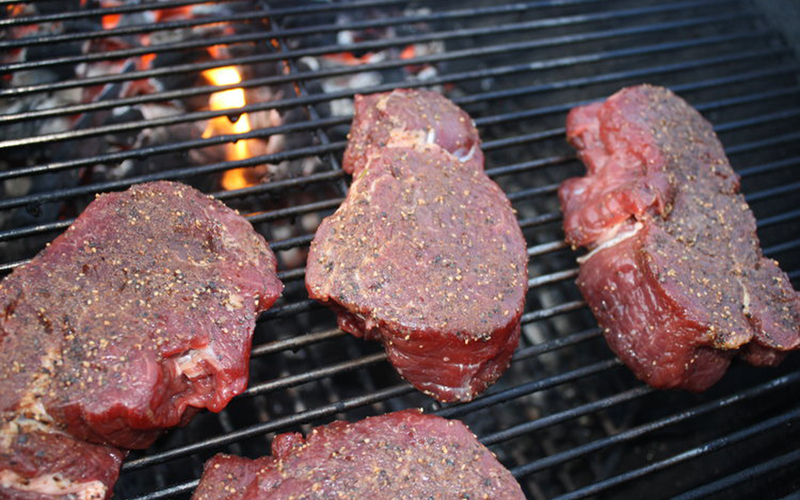 Whether in the kitchen or grilling outside.